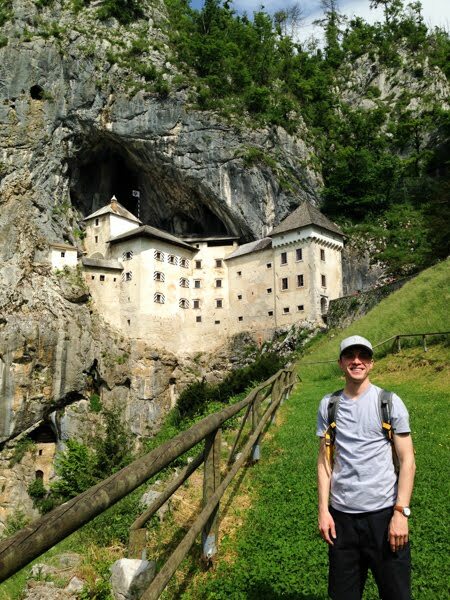 Our next overnight was in Croatia, so "on the way" we stopped by the 700-year-old Predjama Castle which stunningly is built into the mountain. Like it was chiseled into it. 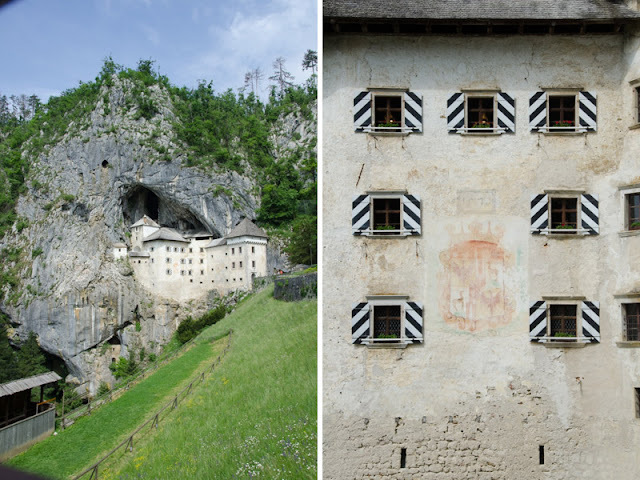 Slovenia's castles, while understated, were really beautiful and unique. On the field outside of the castle is a jousting area, which I spent daydreaming about Ulrich von Liechtenstein, as you do. 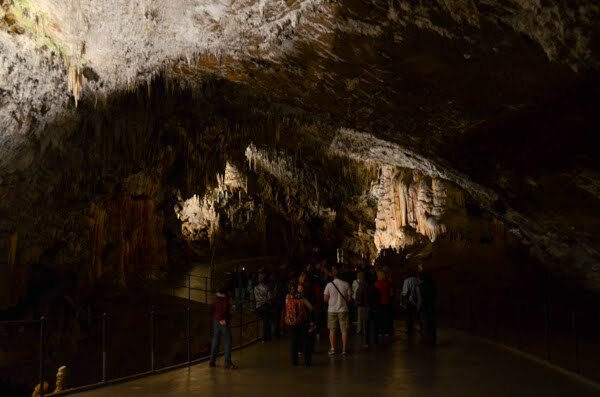 But the real excitement for the day was Postojna Caves. Before we went to Slovenia, someone suggested to skip this sight and I'm so glad that we didn't listen. We had so much fun. The entrance/exit to the cave is via that gaping hole so the excitement starts from the get go. You enter the heart of the cave via a little open air train, Gringotts style. The train takes you about a mile in where your tour begins. This was much more fun that I think it was intended to be but we are easily entertained. 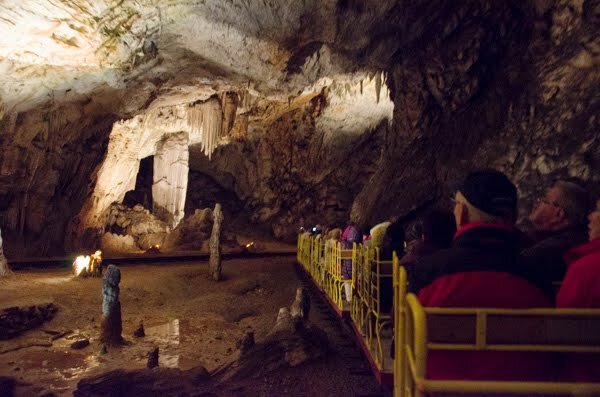 If you like caves, and think riding through one on a little train sounds like fun, then Postojna Caves is for you. I often hear that people think that Americans are overly excited about things. And well, this might very well be true as evidenced by how much we geeked out. Our tour (offered in many different languages) was pretty interesting. It lasted about an hour and we learned all about rocks and stuff. :) My favorite room which I was unable to get a picture of had a lit chandelier hanging from the ceiling. For, you know, ambiance I'm sure. The rest of our day was spent driving to our next destination: Rovinj, Croatia. Transportation: we saw a couple of tour buses, but this area is best accessed via car. It will give you the most flexibility. 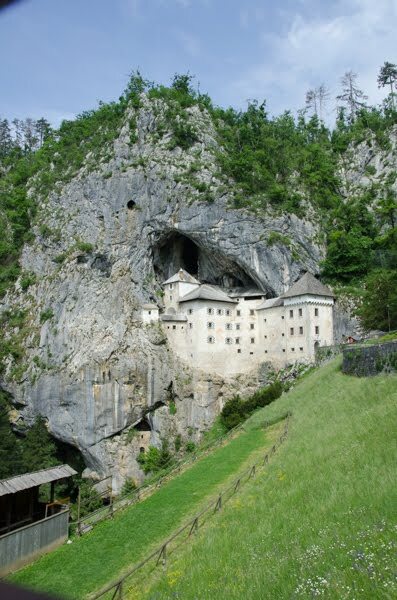 Postojna is about 45 minutes away from Ljubljana. The Castle and the Caves are about 20 minutes away from each other. 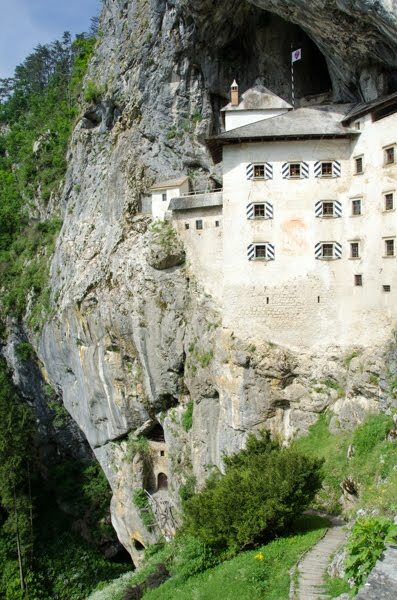 Predjama: parking is free but it is pretty limited. We did not enter the castle (short on time) but you can pay to enter. 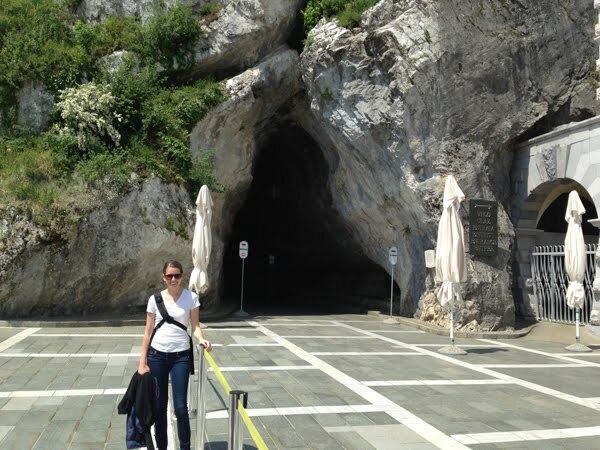 Postojna: The cave entrance is surrounded by a massive complex of food, shops and a huge parking lot. You have to pay for parking and it takes some time to walk from the parking lot so keep that in mind. When we visited there were specific tour times so you have to plan accordingly to arrive for the tour in your language. 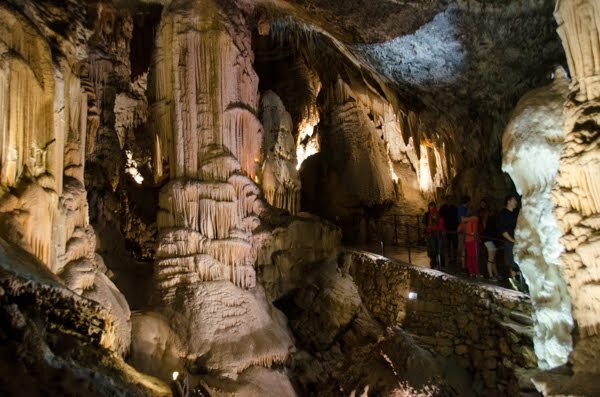 Dress appropriately: it can be chilly in the cave, so bring a light jacket/sweater and wear long pants.